We have shared latest driver of Android Fastboot Reset tool on this page and free download links are available for download. Basically it can support for all over OS for installation. The best way to remove Android FRP on fastboot mode is to make use of Android fastboot FRP reset tool. Make use of this application and you may unlock FRP and hard reset without any issues. You can perform this action in a single click with this method. After installing this driver, you can use Android Fastboot Reset tool on your PC without facing problem. The driver latest setup consist on one RAR file, so extract it with extractor tool after download. This post discloses how to set up and introduce ADB and Fastboot utilizing Android SDK/Android Studio on your PC. Android SDK is currently a segment of the entire Android Studio setup. Android SDK carries with itself the two most vital apparatuses required for tweaking your Android telephone, ADB and Fastboot. For what reason do we require them? 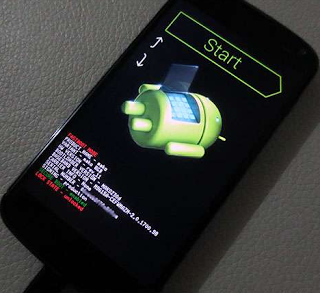 ADB (Android Debug Bridge) and Fastboot/Bootloader encourages us introduce a custom recuperation which enables us to root our Android gadgets, introduce custom ROMs, troubleshoot applications, gather framework information and perform numerous other framework changes which are not generally conceivable. You can likewise streak bootloader updates or glimmer framework pictures of different Android refreshes. Additionally, ADB enables you to get to your phone specifically from the PC while associated with a USB link utilizing charge line devices. We do as such numerous instructional exercises every day on Team Android on the best way to root Android telephones, introduce custom firmware and so forth and we generally prescribe you ought to have your USB drivers legitimately introduced and your Android telephone ought to work impeccably fine with ADB and Fastboot. Android SDK is currently a piece of Android Studio, Google's new IDE for Android improvement. To work with the SDK or its instruments, you need Android Studio introduced on your PC. Similarly if you want to root your Android device, install a custom ROM or many other advanced-level techniques then you need to learn how to install ADB and Fastboot on Windows. Here is a guide for getting going on getting the most out of your Android experience as well as a list of the most common mistakes. Now just manage below download links to get the latest driver of Android fastboot reset tool.